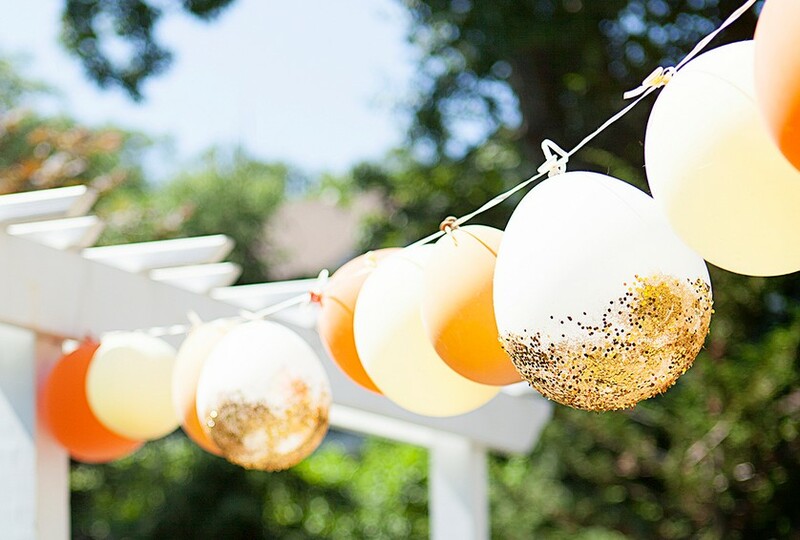 Create a garland using inflated balloons and embellish some of the balloons with glitter! Follow the tutorial on the source to create this idea. See this idea with multiple rows of balloon garlands hanging along the ceiling. See a tutorial for making a garland of clustered balloons. See a tutorial for this idea using a variety of balloon sizes. See a tutorial for this idea with a double row of balloons hanging on a banister.